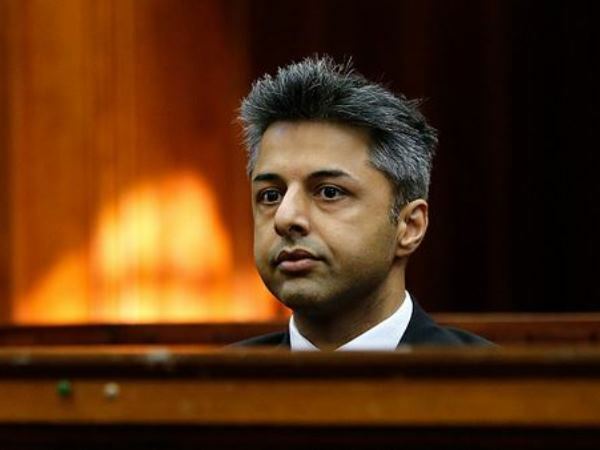 British businessman Shrien Dewani did not flinch on Wednesday morning as the Western Cape High Court was shown police videos re-enacting the shooting of his wife Anni in a shuttle taxi. He watched the three videos from the dock with the same expression he normally had when taking notes during testimony. Warrant Officer Pieter Engelbrecht, the State's tenth witness, said the investigating officer asked him to compile possible shooting scenario videos and he made these videos on Tuesday. Dewani is accused of the murder of his wife during their honeymoon in Cape Town in November 2010. He has pleaded not guilty to the five counts against him, maintaining that the couple were the victims of a hijacking on November 13, 2010. The State alleges that he conspired with others to stage the hijacking in return for R15,000. Her slumped body was found in the abandoned shuttle taxi in Khayelitsha the following day. Engelbrecht's videos, which used police officials in civilian clothing, were representative of versions of the shooting put forward by the State and the defence. They were compiled to determine the trajectory of the bullet, contact with the firearm and Anni Dewani and her position at the time of her death. Using a man with a similar build and arm measurements as convicted gunman Xolile Mngeni, Engelbrecht found that a person aiming at full reach from the front passenger seat would have been 40cm short of the backrest but could have made contact with the muzzle of the firearm. Mngeni died on Saturday following a brain tumour. The first video showed a man leaning over from the left front seat towards a woman at the right rear. He pointed his firearm at the woman, pretended to shoot and the woman put her left hand up to her chest in defence. She then slumped over onto her side, to the right hand side of the vehicle. The position of the body seemed to resemble how Anni Dewani was found in the vehicle, based on video footage previously shown in court. The second video showed a man approaching the woman from the left rear door of the vehicle. The woman extended her leg out, the man 'fired' the shot and she collapsed onto her back with her arms crossed over her chest, and her legs lying on the left side of the back seat. In the third video, the man exited the front passenger seat and moved to the left rear door, opened it and pointed the firearm at the woman in the right rear seat. She continuously kicked her left leg out at the shooter, he grabbed her leg and then "shot" her. She collapsed onto her back with her arms crossed over her chest and her left leg rested on the left hand side of the rear seat. Asked what he concluded from the videos, Engelbrecht said: "The most probable position would have been from the front left [of the vehicle]". When Francois van Zyl, for Dewani, cross-examined convicted killer Mziwamadoda Qwabe recently, he put it to him that it would have been impossible, on his version, for Mngeni to have shot Dewani from the front passenger seat. He said they had gone to visit Mngeni in prison and measured his right arm from the hand to the elbow. It measured 55.5 centimetres. The distance between the front seat and where Dewani was sitting in the back was 80cm. "Even if he was standing on his knees on the front seat, leaning over, he couldn't have reached the lady, the deceased's hand, to fire the shot," the lawyer said. Qwabe replied that his version was the only one he knew because that is what happened.